Does the National Football League tolerate the bad behavior of some of its players? That’s the pressing question after it was revealed that the NFL failed to secure records involving Former Kansas City Chiefs running back Kareem Hunt alleged assault against a man in Kansas City back on Feb. 10. The NFL only did so after TMZ broke the story accompanied by a video of the physical altercation in November. It has been reported that just a week ago on Nov. 30, a person named Jordan Carpenter, with the NFL, filed a request for unedited versions of police reports, records, 911 calls, body camera footage, police radio reports and surveillance footage of “an incident involving multiple individuals occurring in the early morning hours of February 10, 2018,” Kansas City.com reports. That happens to be the same day TMZ ran with the story. TMZ obtained video of the incident, which appears to show Hunt at a Kansas City nightclub being restrained by a security guard. According to TMZ, a 37-year-old man says he had to be hospitalized with a broken rib and broken nose following the fight. The fight took place hours after the Chiefs lost a playoff game to the Tennessee Titans. The man filed a police report, but Kansas City Police said the victim eventually stopped cooperating and no charges were ever filed. The incident came a month before Hunt assaulted a woman at a Cleveland hotel. In that incident, conflicting stories arose over what set it off, and no charges were filed. TMZ put out that video last week, setting off a whirlwind of developments that first led to Hunt’s suspension and later his release. Hunt is also implicated in a third assault, this one of a 23-year-old man, at an Ohio hotel in June. 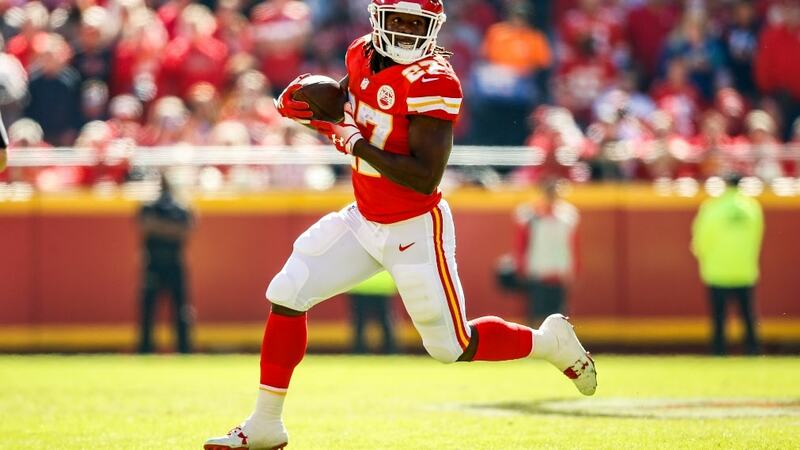 Hunt, 23, responded publicly to the Cleveland altercation on Sunday during ESPN’s Sunday NFL Countdown, apologizing both to the victim and to the Chiefs. After being released, Hunt – who was the NFL’s leading rusher last season – cleared waivers on Monday. Even if he were to sign with another team, he remains on the Commissioner’s Exempt list and would be prohibited from playing.